This is a sponsored post written by me on behalf of Bloomlife. All opinions are 100% mine. I remember being asked by my OB in one of my check-ups if I’ve been feeling any Braxton Hicks contractions. My best answer to the question is unfortunately one big shrug emoji. I knew what Braxton Hicks contractions are, but I’m not really sure what it’s supposed to feel like (and thus no idea if I’ve been having them). Apparently you can have these “practice contractions” as early as 7 weeks — although first time moms-to-be may not feel them until 17 weeks or later (or maybe not at all). A quick search online tells me that most describe it as a “tightening of the stomach”, while some say it’s akin to period cramps. Well I don’t think I’ve felt that…or maybe I sort of have? There were times when I’ve woken up in the middle of the night with a feeling like I’m in the middle of doing an ab crunch. Was that Braxton Hicks? Or is my belly just getting so big that it literally takes the effort of doing a sit-up crunch to change sleeping positions? Or maybe I dreamt it all? Crud, how do I know if that was a contraction or not? Lucky for me, and all the moms-to-be out there, we’re living in an era of fem-tech revolution. 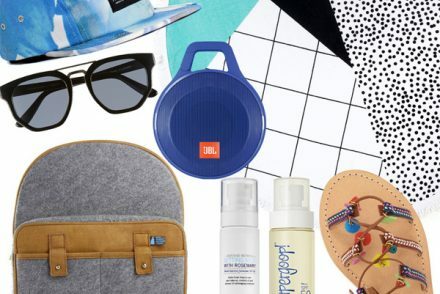 From apps that track your cycle to period discs that provide an alternative to tampons, there are so many female-targeted new technology coming out that aim to make our life easier. One of these innovation that I’m so happy to discover is Bloomlife. 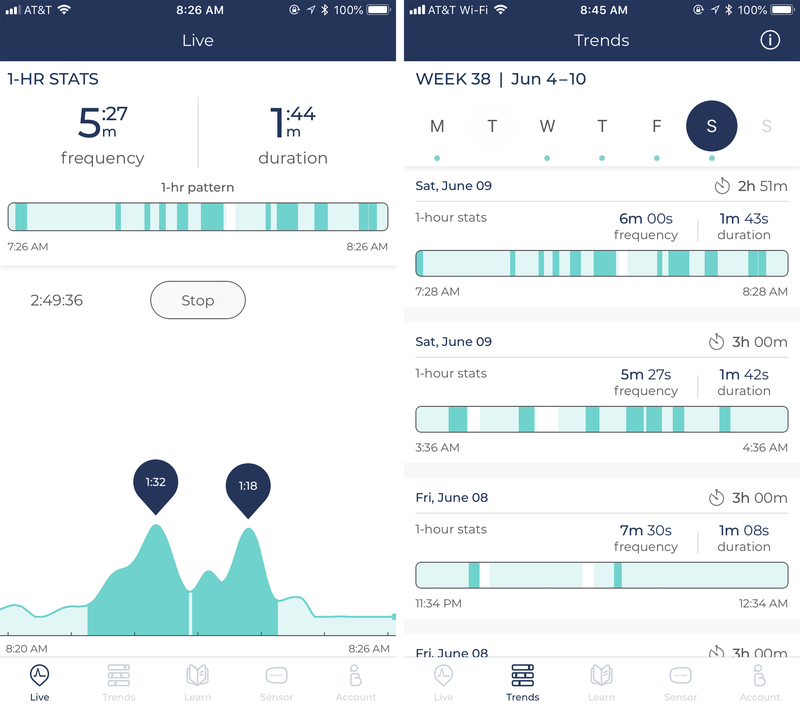 This app and sensor combo helps me take the guesswork out of tracking my contractions. Read on to find out how Bloomlife works and why I’m such a huge fan. Also, since paying full price is totally overrated, I’ve got an exclusive discount just for you guys. Bloomlife is a contraction monitoring tool that tracks the duration and frequency of your contraction. You rent the sensor on a week-to-week basis, which you can start as early as you’d like in your pregnancy (I got mine at around 36-weeks). The kit comes to you in the mail with everything you need: the sensor, charger, and 5 sets of patches to stick the sensor to your belly. After you get the kit, all you need to do is download the free app on your smartphone (available on Google Play and iTunes) to get started. Getting started is super easy and the app guides you along the way on how to attach the sensor to the sticky patch and where to place it on your belly (three-fingers width below your belly button). Bloomlife works better when you’re doing minimal movement, so I turn mine on while I’m watching TV, working at the office, or sleeping at night. It takes at least one hour of data collection for the app to give you a trend of frequency and duration. The Bloomlife sensor will automatically turn itself off after three hours so you don’t have to worry about the battery draining. On a side-note: I’ve been told that they’re working on an update to extend the max tracking time to nine hours, so you can get full data of contraction activity that happens while you’re sleeping. Personally this isn’t really a problem for me as I need to go to the bathroom at least once or twice in the middle of the night anyway. So I just restart it whenever my bladder rudely wakes me up. What you see below is a screenshot taken while I’m recording (left) and an accumulation of all of the trends recorded (right). The dark green portion of the graph is where the contractions “happened”, while the white portions of the graph means that the sensor is having a hard time picking up data (probably due to too much movement on my part). The patch is reusable, so don’t throw away the packaging. You can use it to store Bloomlife when you’re not using it. 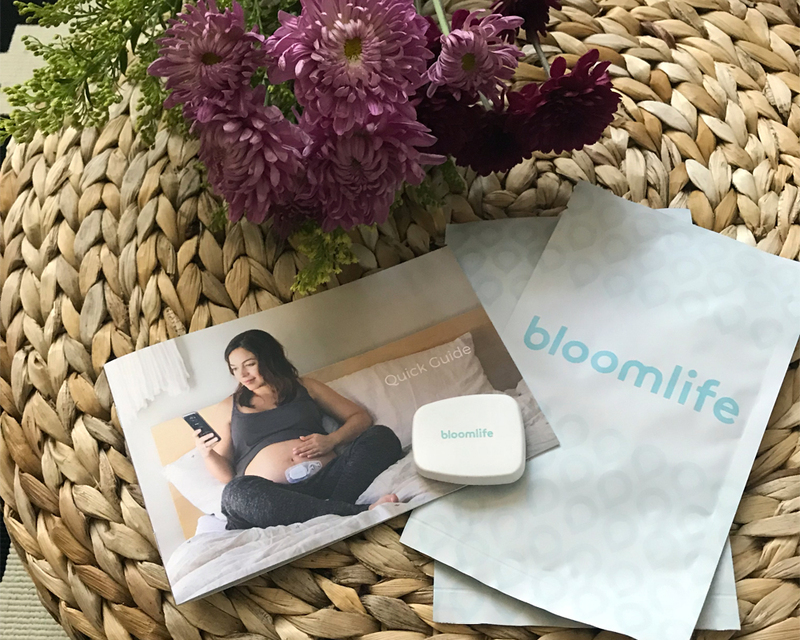 Bloomlife will detect when you’re having a contraction, but it won’t tell you if you’re having Braxton Hicks or real labor contractions. They do, however, have several educational articles on the app and website on the difference between the two. Although, I have been told by my mom friends that I probably won’t have a hard time telling them apart, as the real labor contractions typically come with real pain. This may not be the case for every hospital, but mine specifically directs me to call (before coming in) whenever I think that I’m in labor and provide them info on the frequency and length of my contractions. I obviously haven’t gotten to that point yet, but I imagine this is another place where Bloomlife can make things easier in times of stress and high anxiety. Once you’ve delivered and no longer need your Bloomlife, all you need to do is print a shipping label and send it back on its merry way. There’s no need on your part to commit to how long you’re going to keep the device for. You’re only charged for the time you have it in your possession. So it’s super flexible. Ready to get your Bloomlife contraction tracking on? Use code GW10 to get 10% off of your Bloomlife rental. Ordering more patches is super easy to do via the app. I suggest doing it when you have one or two backup patches left. One patch has been lasting me approximately four days (about how long the shipping time is). If you’re one of those people that obsessively oil their bellies to prevent stretch marks, I would put the patch on first (after you shower) so you know what area to avoid. Dirt, lotion and oil will significantly decrease the patch’s lifespan. If you want to wear it all day and not have it show, I recommend wearing loose dresses. I’m kinda at the point in my pregnancy now where I don’t mind it showing, so I’ve worn it with jumpsuits and body hugging dresses. Although you probably won’t want to wear anything too restrictive over it, as it might affect the sensor. I haven’t tried it yet, but I imagine wearing something with a thick and tight material, like skinny pregnancy jeans, will affect the sensor’s ability to pick up data negatively. This is really cool! I’m loving the fem technology wave!!! 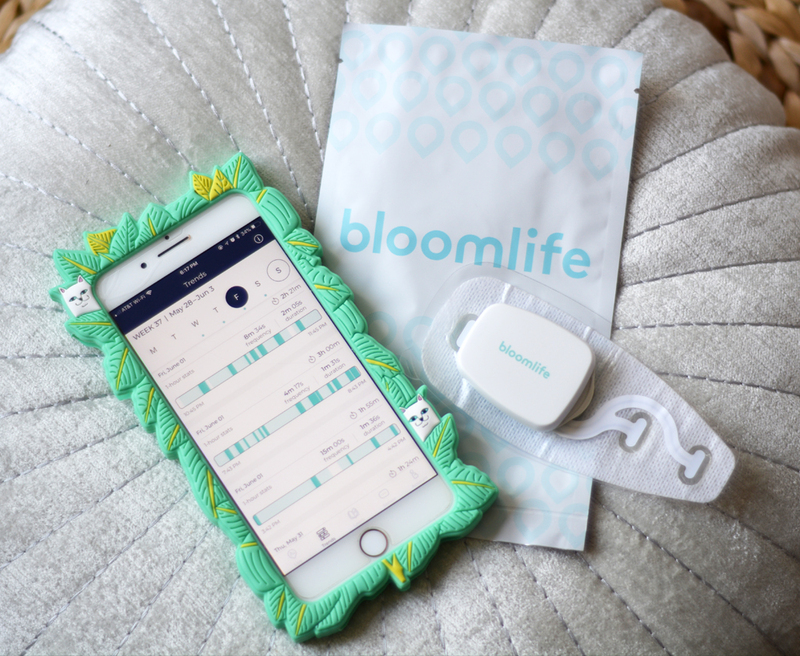 This bloom life monitor sounds like an absolute savior for first-time mom. I’m so excited to get mine! Wow this is so cool mama! I could totally see how this would be so helpful, especially for a new mama! This sounds interesting. 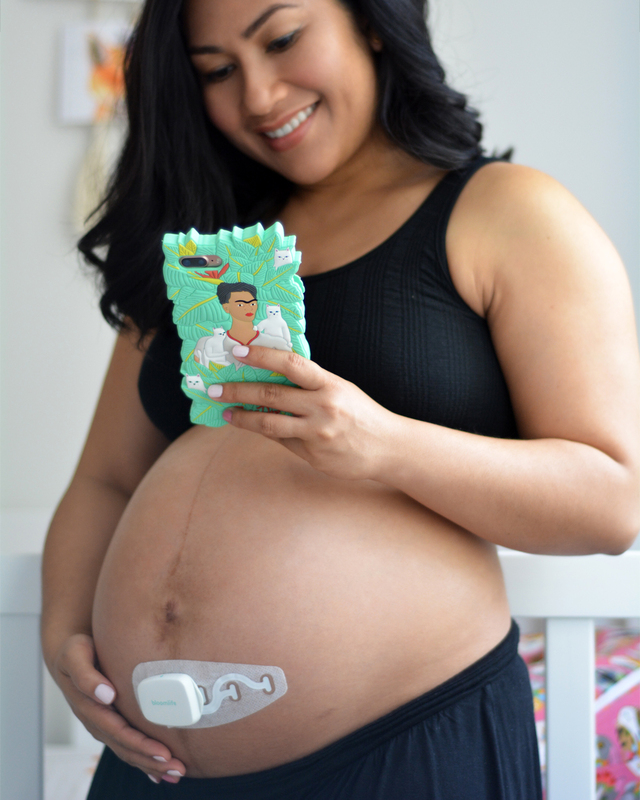 I haven’t used this when i was pregnant but it looks like this device is very helpful for pregnant mommies! Thank you for sharing this. This sounds so cool! Great for a first time Mom! Love your pro tips as well. Wow, pregnancy technology has come so far! That’s such a great tool! I’m not pregnant but I’ll be sure to send this to my pregnant friend. What neat technology!! Love this! That’s so rad, it’s amazing how far technology has come. I have several friends who are expecting right now, I’m going to share this with them!